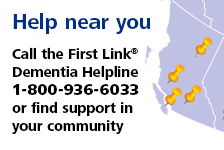 Research Update | Alzheimer Society of B.C. Interested in dementia research? This webinar, from Dr. Julie Robillard, Assistant Professor of Neurology at UBC and Scientist in Patient Experience at BC Children's & Women's Hospital, will help you better understand the research process. Topics covered will include: types of dementia research, what to expect when participating in a research project, and how to decide whether to participate in research. Research 101: Dispelling the myths (2019) - with guest speaker, Dr. Julie Robillard. Dementia Research Update (2018) - with guest speaker, Dr. Haakon Nygaard.